Can a non-professional buy a Krembs product? Yes, there are some items that are appropriate for customers who are not professional stylists. Most of our items are made specifically for styling professionals, however we do have a line for salon owners to recommend and sell to their customers. Are the prices on your website my prices or do I get a discount because I am a stylist? The listed prices are professional stylist prices. Since we do not market to the general public, all of our items are made and priced for the styling professional. We do have special pricing on specific items for salon owners to retail to their customers. To find out more about that, simply 805-304-3413 or email for information. If I purchase, do I have to order a minimum quantity? No, we do not have a minimum order requirement on regular purchases. The only minimum requirements apply to salon wholesale accounts. 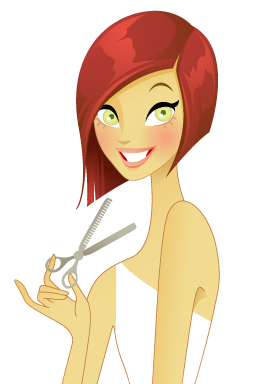 You can call or email for specific details about the salon wholesale program. What if I buy something and it doesn’t work. How hard is it to return or replace something? It is very simple to return or replace your item. Simply email or call 805-304-3413, we will be glad to walk you through the return process. What if I am not happy with my purchase, I don’t feel comfortable complaining? We want to hear from you. At Krembs, we feel that all complaints are an opportunity to show you what a great company you have chosen to do business with. We want you to be happy, so please let us know how we can help. Do you have a store that I can go to? No, we have chosen not to have a store for several reasons. First, we want to keep prices as low as possible and avoid the extra costs of having a store. Secondly, we have sales reps all across the US and several large shampoo companies have our items in their stores. Simply let us know what area you are in and we will try to find you the closest rep or store to you. If not, it is very easy and convenient to order online or by phone. Our easy return policy makes it virtually risk-free to use this convenient way to purchase. What kind of warranty do you have on your products? If you need to return a product covered under warranty and need warranty information, please call Krembs at 805-304-3413, attention: Rebecca. I hate to fill out the warranty information that comes in my item box. How important is that really? Returning all warranty information is very important. It allows us to help you more quickly and efficiently. We have no way of knowing if you purchased from one of our sales reps, a store or directly from us. There are companies that will sell look-a-like items or use the Krembs name illegally. Returning your warranty card assures that you are protected and you have purchased an authentic Krembs item. What if I don’t see an item I am looking for on your website? Please call us if you do not see the item you are looking for. We are acquiring new items every day and we may not have posted it on our site yet. Your entire order ships for only $7.95, spend a 100 bucks and get free shipping! continental USA only. For international orders, please call 1-805-304-3413. Krembs Company © 2019. All Rights Reserved. Website by JP Studio Designs. Get on our mailing list to receive esclusive offers and a heads up to our promotions and new product releases.